Where about in the North Atlantic? Tropics or Subtropics? Either way it would mean little to no difference likely in the outcome of things if you have a full blown El Niño like some are saying may come to fruition. I think even in a moderate-strong El Niño, a warm MDR would likely make the difference between a well below average season and a slightly below average season. Look at 2015 for this. 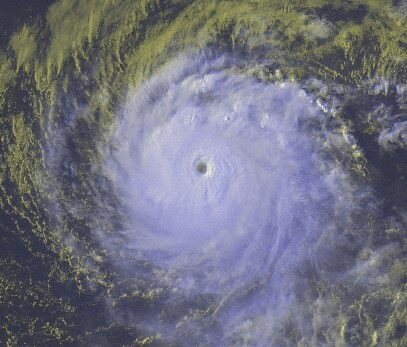 The MDR was fairly active that season including a major hurricane. As long as the WAM remains strong as it has been in recent years, I don't think we will be looking at historic inactivity this season even if we have a strong El Niño. Yes. It made a massive difference that yr. Warmest ASO on record, yet the season wasn't far from near normal. And, there was a reason 2018 ended up above average w/ a record EP season. TheStormExpert wrote: Where about in the North Atlantic? Tropics or Subtropics? Either way it would mean little to no difference likely in the outcome of things if you have a full blown El Niño like some are saying may come to fruition. I lean to more Subtropical stuff than MDR systems. 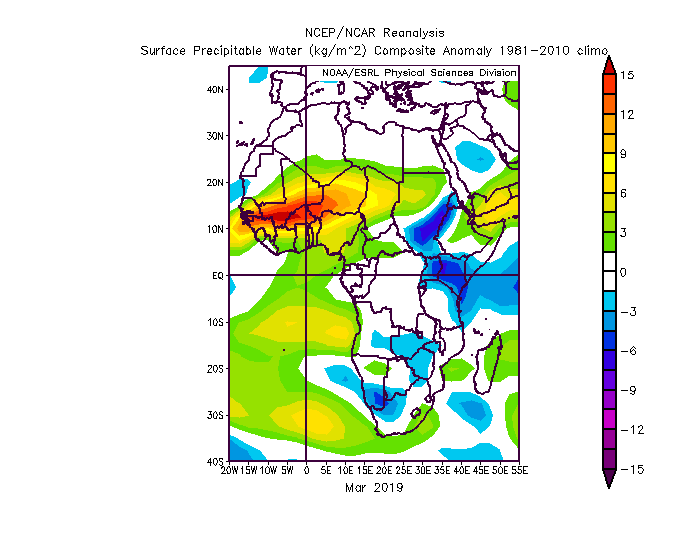 CyclonicFury wrote: I think even in a moderate-strong El Niño, a warm MDR would likely make the difference between a well below average season and a slightly below average season. Look at 2015 for this. 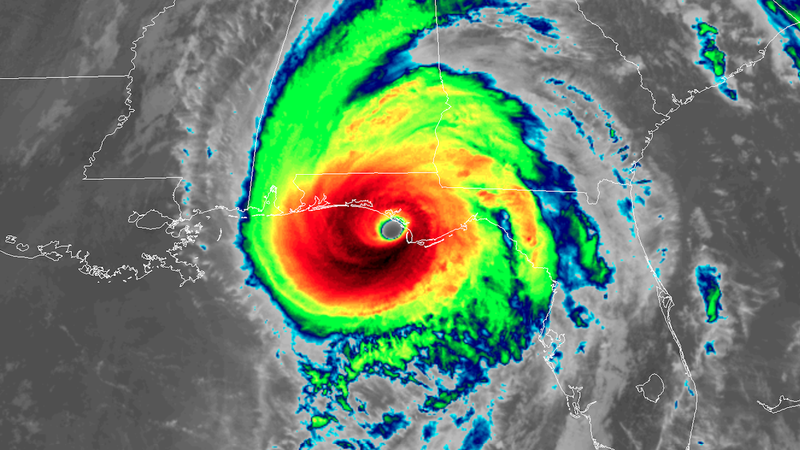 The MDR was fairly active that season including a major hurricane. As long as the WAM remains strong as it has been in recent years, I don't think we will be looking at historic inactivity this season even if we have a strong El Niño. I'm tending to lean that way too for the moment. To be honest though, i'm not even understanding the significance of that graph posted above. "Robust Warming"?? We're talking about an approx. 1/2 - 1 degree increase in SST over a 4 month period starting in April? I must be missing something here because unless that chart represents some SST anomaly forecast, then this level of warming for any portion of the MDR OR Central Atlantic seems entirely normal for this time of year. FWIW, the "North Atlantic" there includes all of the Atlantic, including the subtropics. Homegrown tropical activity looking most likely TC origin come June-August, maybe more land impacts YET AGAIN? 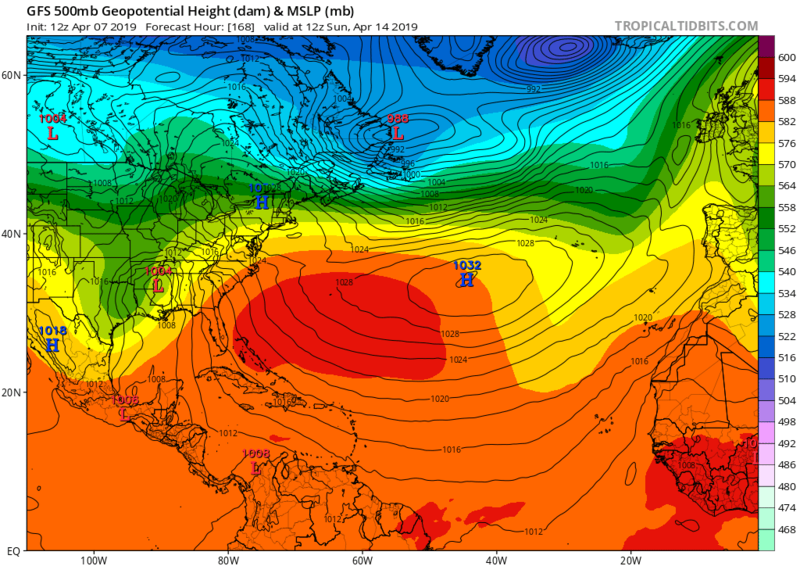 This is what the reliable UKMET depicts for the first half of the 2019 Atlantic Hurricane Season. Latest Euro seasonal shows the El Nino peaking in June/July and fading through ASO. Also shows a pronounced warm PDO ring. Pretty bad MSLP setup for Hawaii and the WPAC. Of course as it does every year, high pressures in the MDR and Atlantic. Kingarabian wrote: Latest Euro seasonal shows the El Nino peaking in June/July and fading through ASO. Also shows a pronounced warm PDO ring. Pretty bad MSLP setup for Hawaii and the WPAC. Of course as it does every year, high pressures in the MDR and Atlantic. So all in all nothing new from the seasonal Euro MSLP outlooks, still continues to over-hype the Atlantic’s high pressure bias. The Euro hasn’t been its best this past year so I’ll discount it, for now. One thing I have noticed this late winter and spring so far which we have seen the last several winters (since 2015) is a semi-permanent “SE ridge.” This past November and December we lost this pattern for the most part but now it is back. This is the type of pattern that steered Irma into Florida and Florence into the Carolinas. The question I ask is while we have seen a semi-permanent east coast trough for many years from 2009-2015, steering most systems away from the US, has the pattern flipped to more of a semi-permanent ridge feature? gatorcane wrote: One thing I have noticed this late winter and spring so far which we have seen the last several winters (since 2015) is a semi-permanent “SE ridge.” This past November and December we lost this pattern for the most part but now it is back. This is the type of pattern that steered Irma into Florida and Florence into the Carolinas. This is the graphic to watch to provide clues about the potential trof/ridge setup off the SE coast. Last year, I noticed the NAO remain positive for almost 6 consecutive months and as you said, may have played a role into Florence making it all the way to the Carolinas from such a high starting latitude....and also just sitting off the SE coast for days. The NAO has been mostly positive for a few months but will be going negative shortly and shows hints of going positive again at the end of the forecast period. Lets watch this near the peak of the season for clues. While there are many factors, what you described could be what the POAMA Enso model is seeing and dropping Enso 3.4 to very near normal for the peak ASO time period. A near normal Enso could contribute to more atlantic activity. I have been pretty bent on leaning toward a pretty inactive Atlantic season; still am. I have to admit though, i'm a little befuddled by what appears to be a growing "cool patch" over the far eastern Pacific and off equatorial West Coast of S. America. That and, what appears to be shrinking layer in depth of Warm SST's over parts of the equatorial Pacific as well. 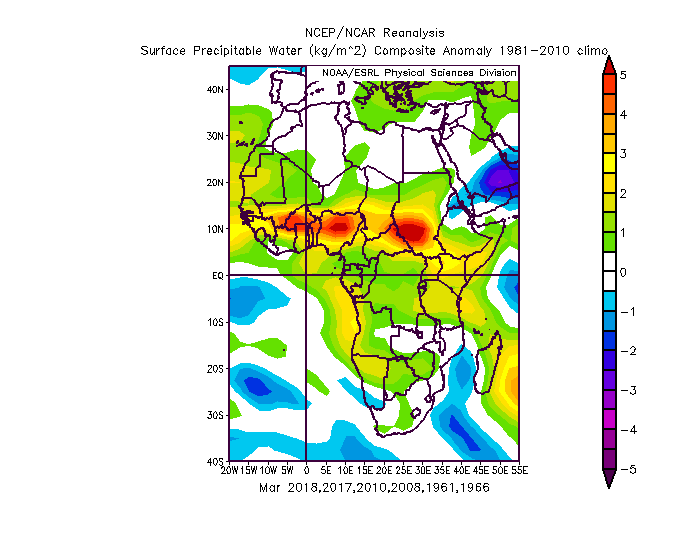 Problem is guessing what Atlantic MDR and W. Atlantic conditions might be, especially in light of the typical time lag from existing El Nino conditions to their impact on Atlantic tropical development. Perhaps an early enough waning El Nino might just permit more optimum conditions for Atlantic cyclogenesis toward September and October?? Long term SST forecast seems to suggest the W. Atlantic remaining "coolish" (though surely warm enough assuming other variables were in place). Here we are finally making it into April but to me it seems like this year still feels a bit more tricky to predict. Perhaps there will be some additional definitive hints over the next few weeks one way or another. my weather buddy said El Nino will be done by august, he said people are over hyping it like they did all last year. stormlover2013 wrote: my weather buddy said El Nino will be done by august, he said people are over hyping it like they did all last year. There still will be lagging effects regardless if the El Niño fades before peak season.